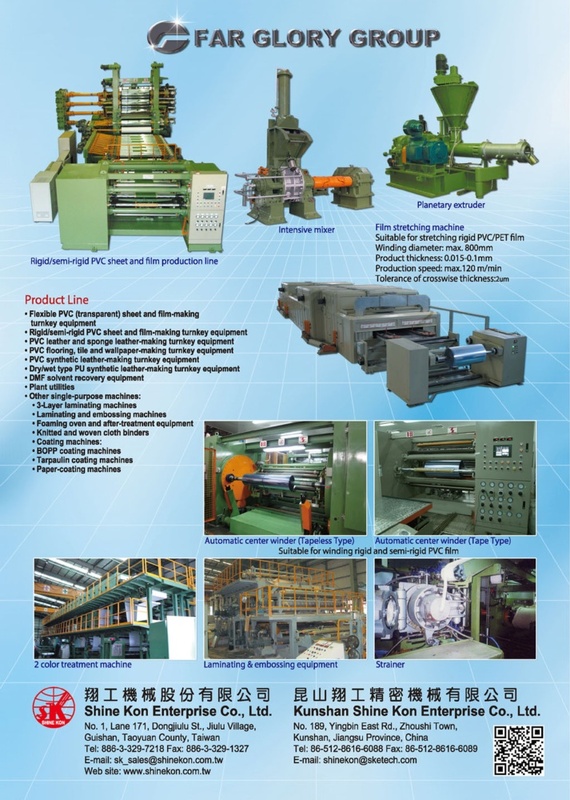 SHINE KON ENTERPRISE CO., LTD. was established in 1983 and specialized in PVC and PU flexible/rigid multi-function processing machines. Shine Kon have the RD group who with over 20 years experiences, they provide the excellent and professional service to customers from factory layout design to research high productivity of equipment, which proves Shine Kon already possess excellent ability to satisfy every customers' requirements. Now, our products have obtained good reputation from overseas clients.